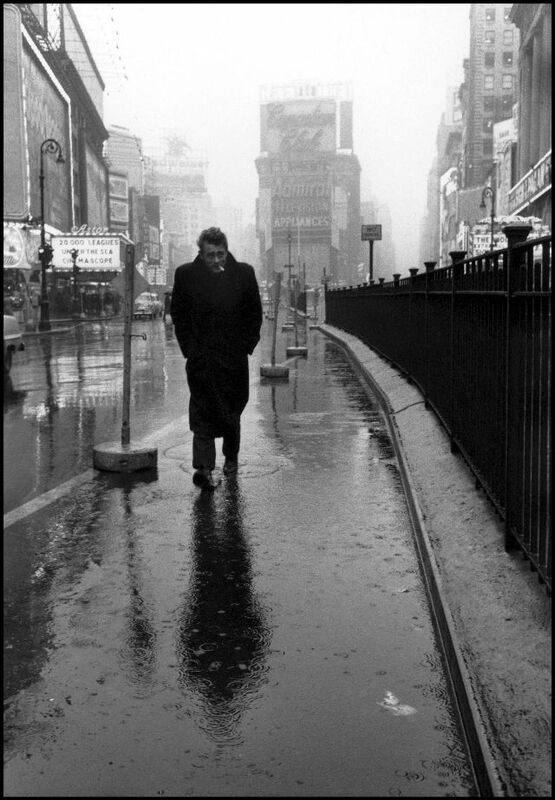 The picture, shot by Dennis Stock in early 1955, shows Dean walking alone in an eerily empty Times Square. It’s a lousy day. 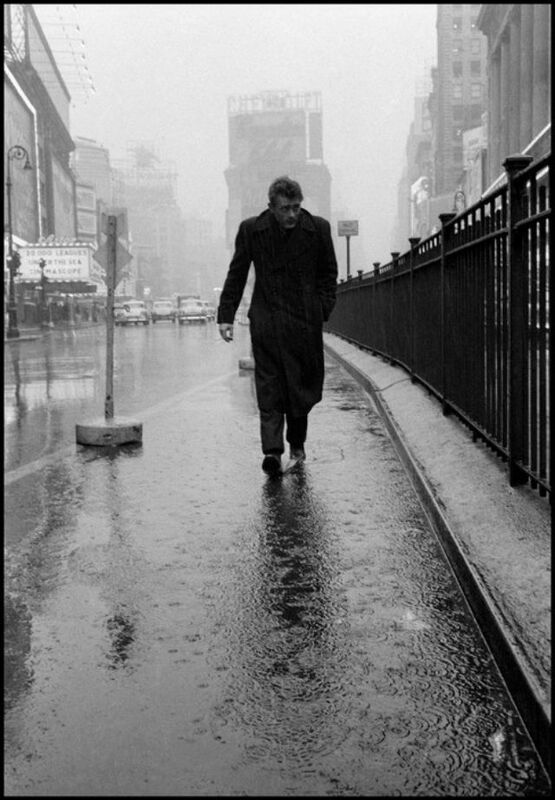 Wearing a long, wool coat, hunched against the chill, a cigarette loosely clamped in his lips, the actor is seen in mid-stride, stalking through the bleak Manhattan rain. At first glance, it might be a portrait of isolation, or even downright despair. 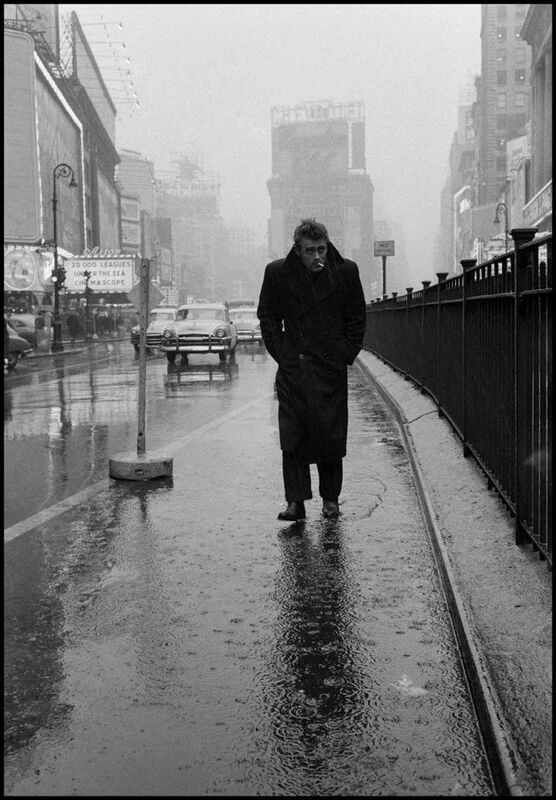 When the Magnum photographer Dennis Stock met actor James Dean in Hollywood in 1955, something about the rising star caught his attention. The young actor had yet to make what would be the defining film of his short career – Rebel Without a Cause – and, while not completely unknown, he was not the iconic figure he would soon become. Yet Stock, who at the time was making a steady living as a photographer for LIFE magazine, couldn’t get the actor out of his head. He saw something in Dean – charisma certainly, an untapped star quality – and was determined to capture him on film. While in New York, Dean attended classes at the famous Actor’s Studio, directed by Lee Strasberg. 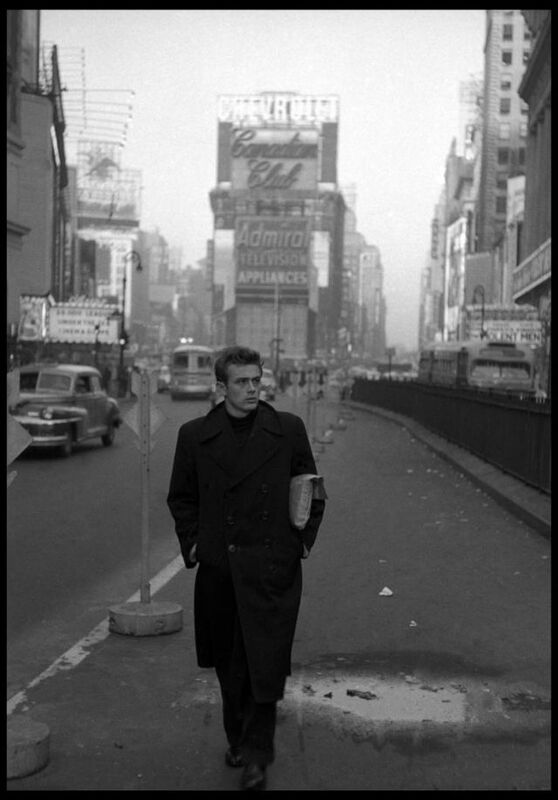 While on the way to the studio one day, Stock photographed Dean in nearby Times Square. Rain was falling heavily and a light mist hung in the distance. Stock asked Dean to walk towards him a couple of times and shot just four frames with the actor at different distances from the camera. Three of the four frames showed Dean at the centre of the image, his outline conflicting with a building behind him. However, one of the shots was perfectly composed, with Dean placed against a clearer background and roughly one third of the way across the frame. Stock had instinctively used Dean’s reflection in the wet street as part of his composition, and further strengthened the image by using the pavement and railings on the right to lead into the subject. 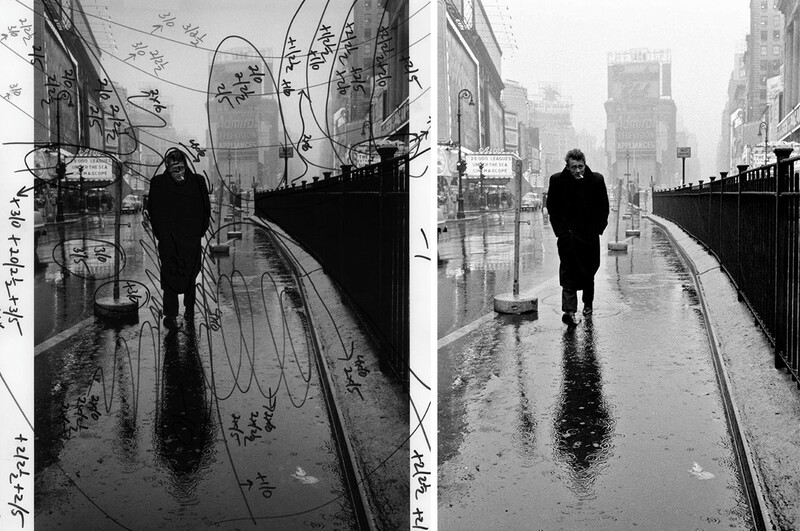 James Dean in Times Square by Dennis Stock, dark room print notes by Pablo Inirio. As well as having the ideal composition, the weather conditions lent the image a moody atmosphere that expressed something about Dean’s character. He looks solitary and battered by the elements, but at the same time looks coolly resilient to his surroundings. The picture also has a biographical element in that the background includes the awnings of cinemas where, as a young actor, he aspired to appear.